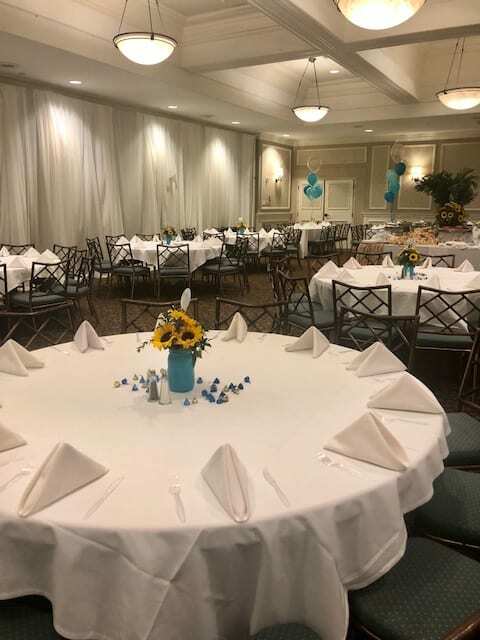 Here at Side by Side Design, there is nothing we love more than working closely with a family to meet all of their design needs, and this major life event I am sharing today is a beautiful representation of what we are all about! 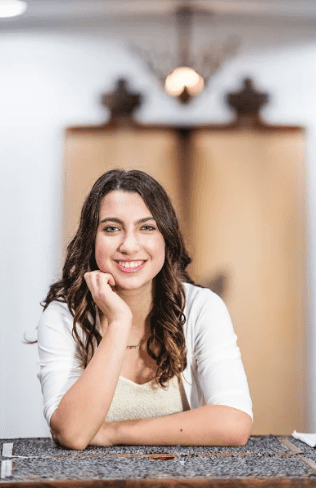 As Lauren has been working on adding finishing touches to this family’s home for the last few years, I was very honored to be asked to work with them to make their daughter’s Bat Mitzvah vision come to life. Not to mention, I got to spend time really getting to know this awesome family! The process for planning such a special day takes a lot of hard work, patience, and creativity. 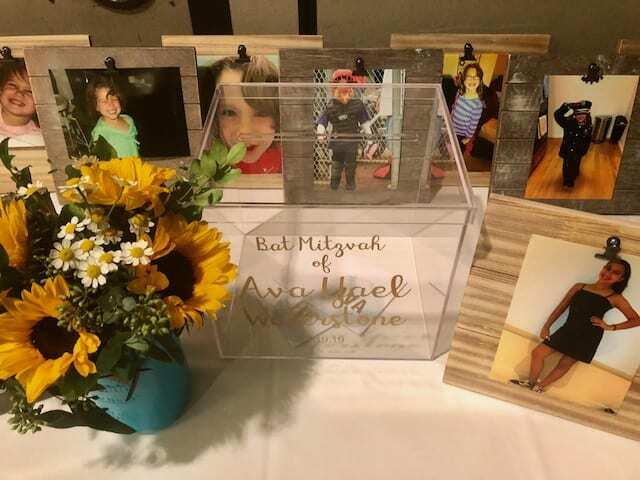 I love that Ava (the Bat Mitzvah girl), her mom, and I really each got to take turns coming up with ideas and seeing them through but also worked closely together as a team (along with a bunch of spectacular vendors who each brought something very special to this day). Each detail represents Ava, her favorite things, and this special milestone in her life. 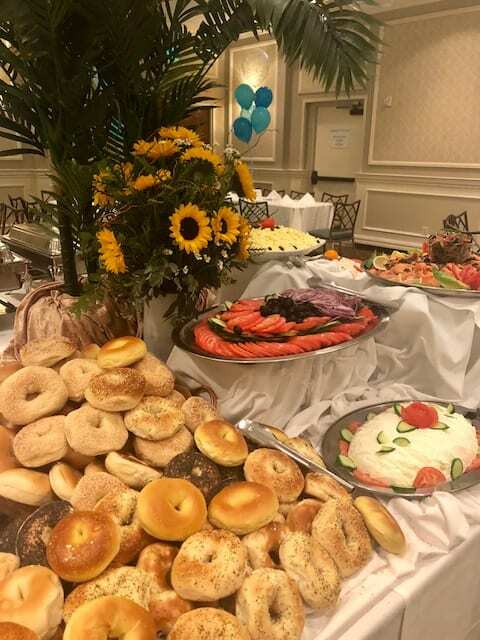 I have broken this event into two parts (as this is how the day was set up) starting with the luncheon Ava and her family hosted at their temple. Stay tuned for the post sharing all of the details for her evening party coming soon! 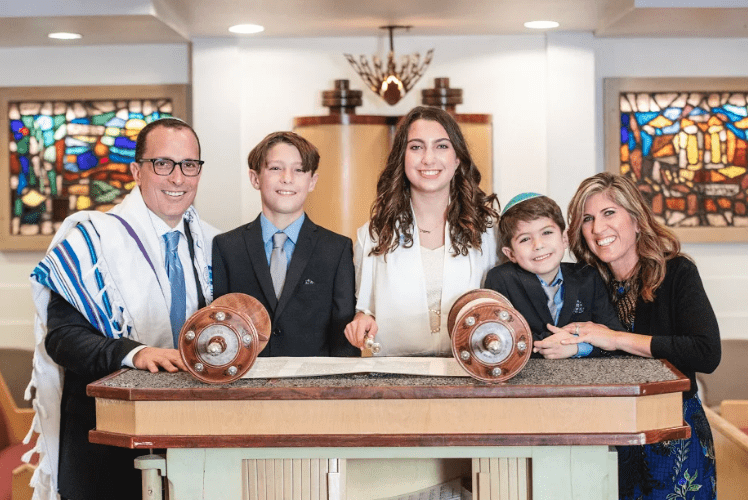 Ava’s parents beamed with pride as they watched her read from the Torah on her Bat Mitzvah day. I don’t want to embarrass her (in case she reads this), but I need to mention that this girl is truly one of a kind! She is confident, creative, and has the most beautiful way of thinking of others even when planning her own special day. Shout out to Kim Fox Photography for taking these stunning shots of Ava and her family to help them always remember this day! 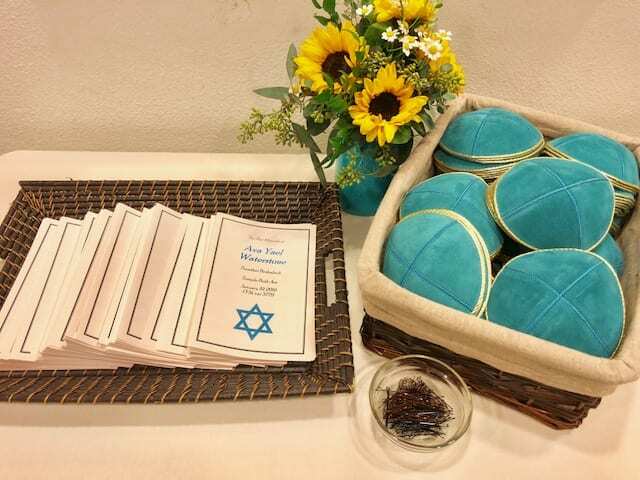 Custom kippot in the party’s color scheme, personalized programs, and an adorable arrangement of sunflowers (Ava’s favorite flower) were placed just outside the sanctuary door for guests to take and enjoy as they entered. 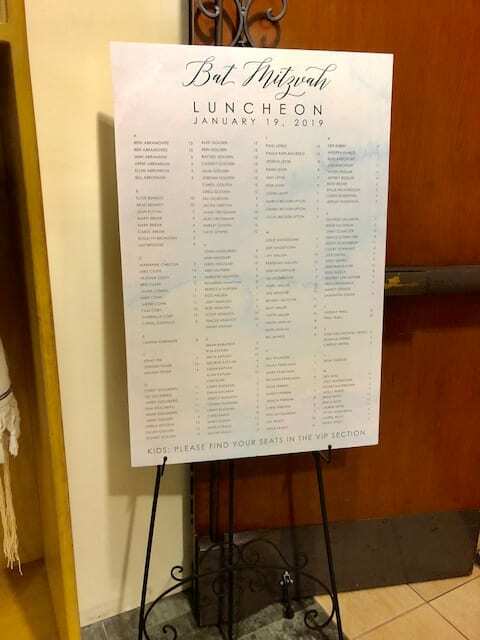 When arriving at the luncheon following the service, guests were greeted by thirteen photos of the Bat Mitzvah girl … One for each year of her life! I absolutely love this personalized acrylic card box too! 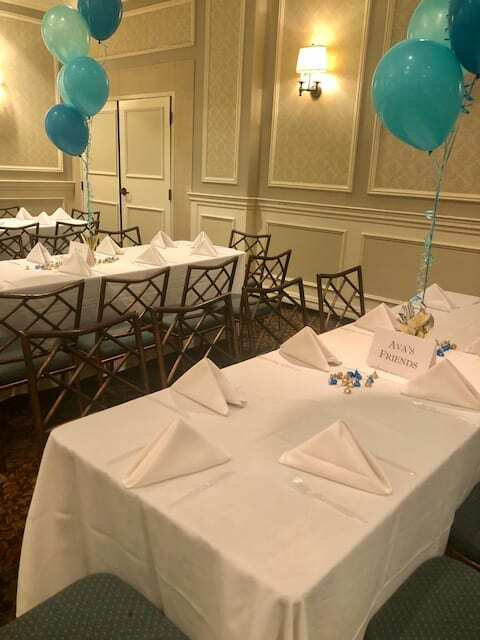 A custom seating chart created by Bojack Studios allowed each adult to find their spot within the room while the kids headed over to the “VIP section”! A mostly white backdrop allowed for pops of shades of teal, yellow, and gold to make a huge statement. 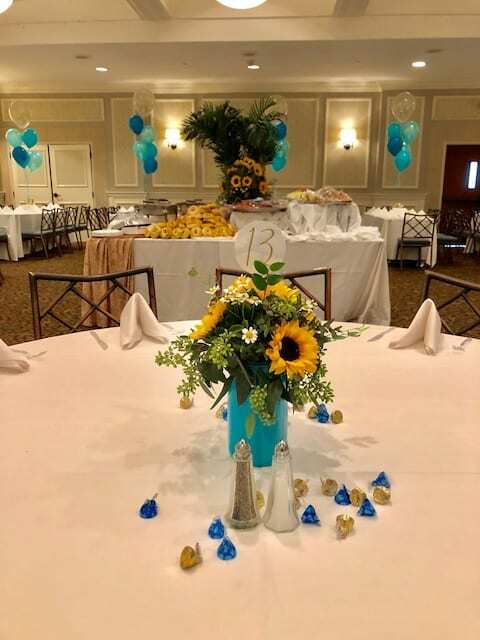 We incorporated a mix of balloons and flowers to add interest and height into this space. I am obsessed with these flower arrangements made by Amanda Rose Florals in their fun painted mason jars. 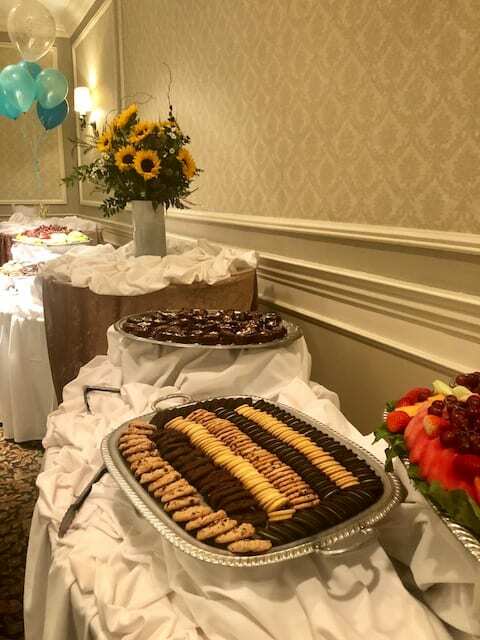 A little candy on the tables gave guests something to munch on when they found their seat. Plus Ava loves both sweets and sunflowers! 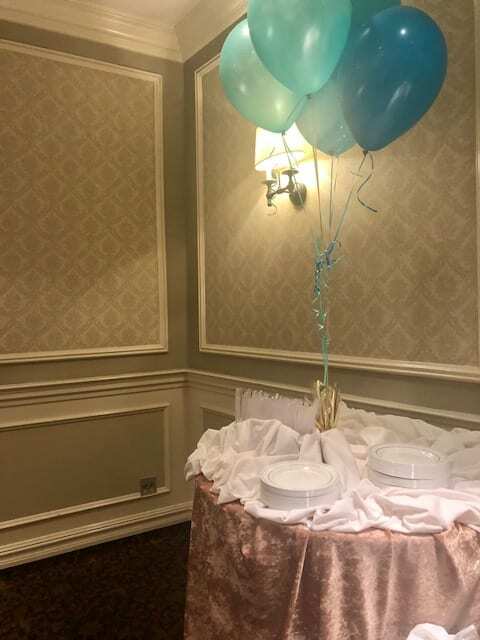 Aren’t these balloon centerpieces so much fun? Gold glitter filled balloons always make me smile! 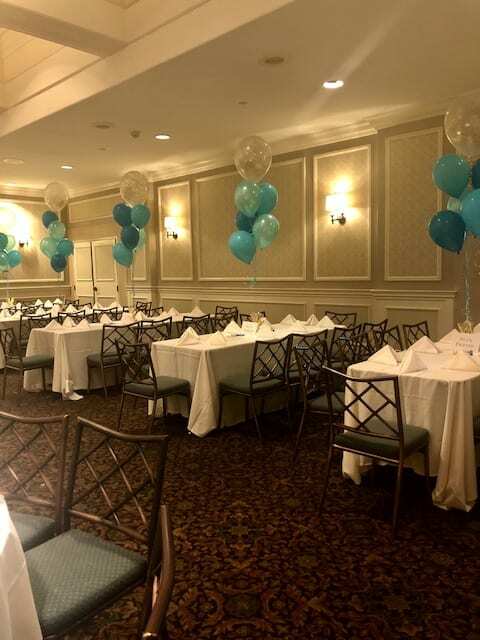 Thank you Any Occasion Balloons for creating our vision exactly! 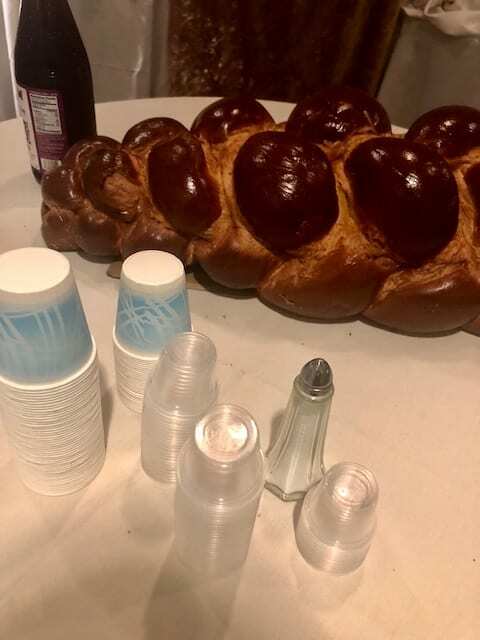 … and then guests were encouraged to dig in! 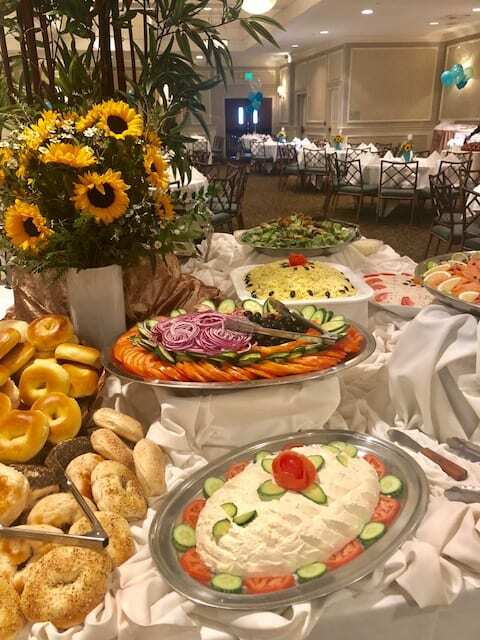 Balabusta Catering pulled out all of the stops with this luncheon! 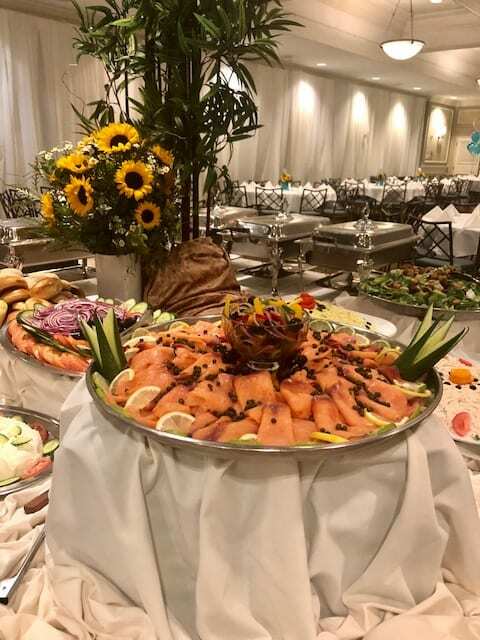 The menu consisted of bagels, lox, and all the fixin’s, tuna, egg, and green salads, and even cholent for those who wanted a warm dish. 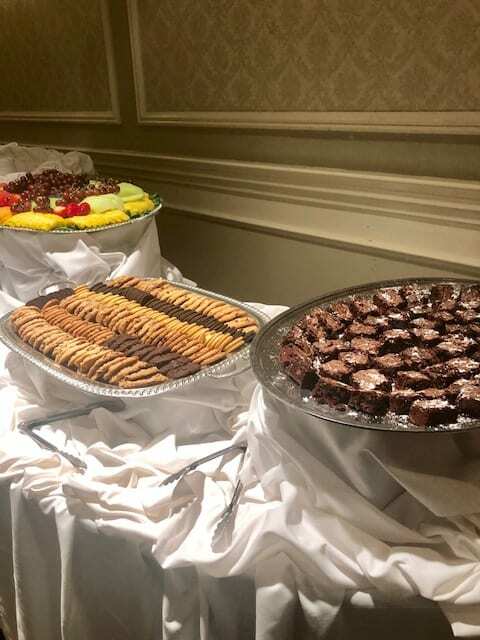 Delicious desserts were enjoyed by all! The thing that made this luncheon most memorable was not something we could have captured in photos, but I want to share it with all of you. Ava’s family invited Kol Zimrah Acapella Group to entertain their guests with a Hora and other traditional songs as well as Ava’s favorites from musicals and more to sing along with. This was such a great addition to this event and so much fun! 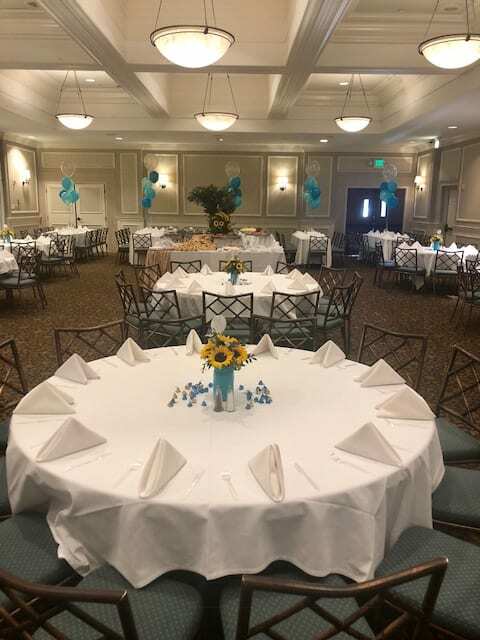 I want to thank Ronna and the entire staff at Temple Beth Am for all of their hard work in planning for and setting up this gorgeous luncheon as well as Ava and Julie (her mom) for being absolute dreams to work with throughout this entire process! I truly cannot wait to share with all of you how the rest of this special day unfolded … I promise I will not make you wait too long! Stay tuned!